There are dozens of afflictions that can affect our sleep quality, but pinpointing common symptoms can be next to impossible when we’re trying to fall asleep. If you aren’t getting the restful sleep necessary for a productive day, you may be experiencing sleep apnea, which happens when your body is starved of oxygen during sleep. Sleep apnea will leave you feeling sleepy and fatigued throughout the day, but leaving it untreated can lead to high blood pressure, stroke, heart attack, and diabetes. It’s highly recommended that you conduct a sleep study to monitor your sleep quality, and you can do so for $69 with GO2SLEEP. 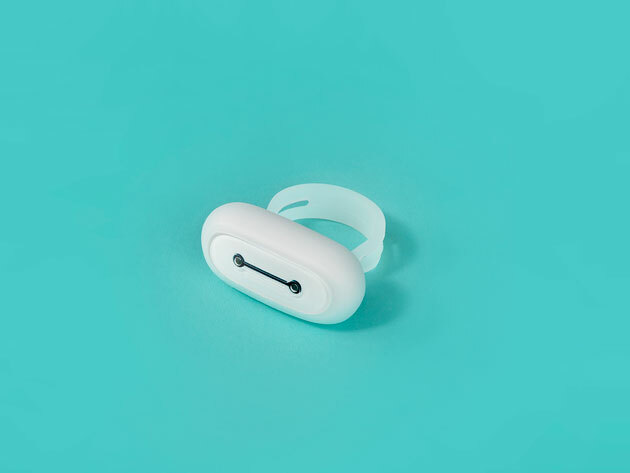 GO2SLEEP is a small, lightweight device that attaches to your finger as you sleep. It syncs with your smartphone via Bluetooth and tracks your sleep stages, heart rate, AHI, body movements, and sleep debt. The accompanying app provides a comprehensive sleep report the following morning, which provides suggestions to improve your sleep quality. The device itself provides 3 nights of charges, and stores up to 7 nights of sleep data. It also comes with a magnetic charger which brings the GO2SLEEP to a full charge within 2 hours. With the GO2SLEEP, you can monitor your sleep quality for a more healthful lifestyle for $69, or 46% off.